Barcelona Metro is the is the best transport option as it covers the entire city, it is safe, easy to use and quick. There are seven different lines: L1, L2, L3, L4, L5, L9, L10 and L11. Barcelona Metro includes the lines of FGC that go from different cities and villages near Barcelona to the City Center, for more information click on FGC. All different lines are operative except line L9 and L10 which are currently only available for a few metro stations. Both lines are one of the most ambicious targets of Barcelona for the following years. 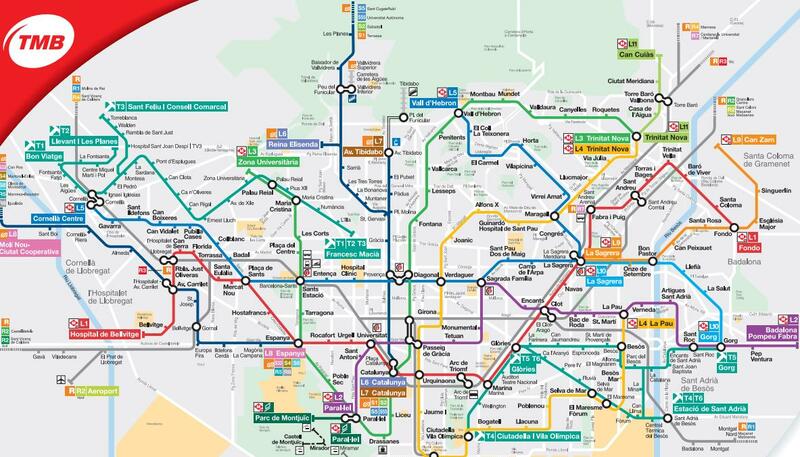 These lines will share railroad along many stations and will be the longest metro line in Europe with almost 48 km and 52 metro stations and will cross the whole city arriving to El Prat (Airport). The construction budget line is 6.500 million euros and it is estimated to be completely operative in 2014. 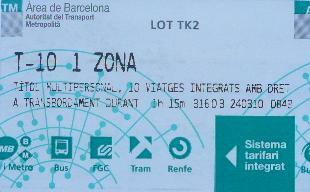 The price for a single journey is 2,15€ (this ticket does not allow transfers among other means of transport). Barcelona Metro transport authority offers special travelcards for tourists. The following travelcards are valid for an unlimited number of journeys in as many consecutive days as printed on the card (e.g. the 2 Day card is valid for an unlimited number of journeys in 2 days, and so on), however, time does not count from the start of use of the card but in calendar days (if you buy your 1-day ticket at 17:00, it lasts until the end of the same day not until the 17:00 of the next day). The following travelcards are normally used by locals rather than tourists, although the T-10 is avery reasonable option for tourists as well. The price of Barcelona Metro tickets vary depending on the zone to which you want to move (tickets can be sold up to 6 zones). Prices shown below are for zone 1 which belong to Barcelona metropolitan area (airport is zone 2). One very important characteristic concerning Metro tickets is that are valid for all means of transport and also transfers among them: Metro, Bus, Tram, FGC and RENFE are allowed within the following 1 hour and 15 minutes from the first validation of the ticket. This feature is applicable to all metro tickets except the single trip. As recommendation, the T-10 is the most interesting travel card as it can be used by different people and the price is very reasonable.